Someone mentioned cooking with a can I was wondering what that was is it a special pot? Google Seth McGinn's CanCooker - Cater to your Crowd - Slow Cooker - Crock Pot - Steam Cooker and you'll get all the info you desire. Can cookers, volcano cookers, there are any number of self contained cooking systems out there. I think once you master the temperatures, cooking times and recipes with the right moisture content all work, just a matter of personal choice. I think you meant something else, but coming from the ultralight backpacking background, I thought of these "pop can stoves". Google it if you are interested. It makes a great project to do with kids about science and safety and they love eating the food off their stove. Took me two Sam Adams just to cook a butterflied pork chop on the Weber Q tonight. Hormel,boneless pork loins, 10 lb average on sale this week locally for 1.49 American per lb. never used a can cooker but I do have a mid 50's little miss Barby Q, which is a cast Aluminum pan with stainless steel wire supports and a stainless grill made for charcoal. Sold for like $2.00 back in the day. Cooks well especially when it's dark and I'm under the influence and can't see. I was in Idaho in the late 60's when a drunk logger ordered a steak in a restaurant we were at. Waitress said "how do you want it done?" He said "Just run it by, I'll cut it off." That's rare. No wonder I never recognized the method, I drink my beer in bottles. 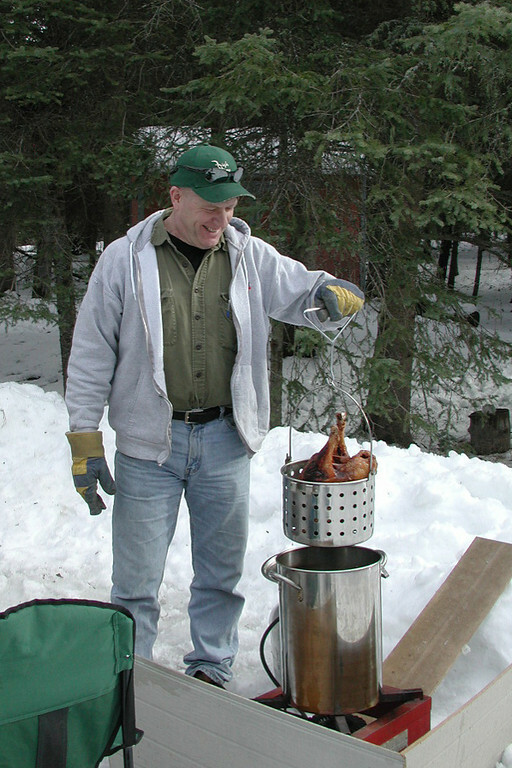 It takes a few to deep fry a turkey too, you gotta have something to do when watching the pot. I have done dozens or turkeys, a few prime rib roasts, and hordes and hordes of sweet potato fries in my deep fryer setup. Don't this look oh, so yummy?